It is now just 36 hours from the start of NaNoWriMo, a 30 day novel-writing marathon. I have my outline ready, character sketches on standby, and a tingle on my fingertips that refuses to go away. However, writing a novel takes a lot more than a good idea. Last year, I fell flat just 18,000 words in. This year, I am assembling an arsenal of motivational tools, bribes, and threats to keep on track. Fifty thousand words, here I come! Space: Surprisingly clean desk, complete with stress ball, Nerf gun, and views of both the San Francisco Peaks and my neighbors’ living room. Writing Utensils: Trusty old MacBook, trusty pocket notebook for inspiration on the go, freshly sharpened pencils. Caffeine: Irish Breakfast tea, Trader Joe’s Chai. Books: “The Writer’s Journey” by Christopher Vogler, the Short Stories of Stephen Crane, the Short Stories of Ernest Hemingway, “No Plot, No Problem” by Chris Baty, the AP Stylebook, the American Heritage Dictionary, “The Elements of Style” by Strunk and White. Music: AOL Soundtracks Radio — Movie Scores (nice, unobtrusive mood music), The Hunt for Red October Soundtrack, “I Am a Man of Constant Sorrow” by the Soggy Bottom Boys, “Dust in the Wind” by Kansas, “St. James Infirmary” by Josh White, “Back in Black” by AC/DC, “Runnin’ with the Devil” by Van Halen. Treats: Dark chocolate York Peppermint Patties (rewards for meeting word counts), Harvest Cheddar SunChips, homemade burrito fixin’s, 2010 Norton Malbec (to be opened on December 1st). Good Luck Charms: Black fedora, manual typewriter, a plastic skull named Julio. What’s on your NaNo checklist? Tell me in the comments and good luck this month! This will be my first time participating in NaNo so I’m not very “prepared”. 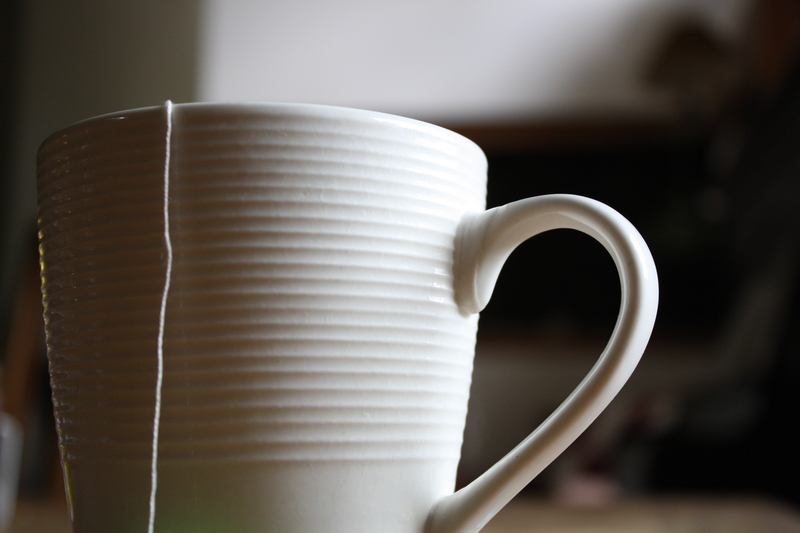 I do have an outline of my story – one that’s been in my head for a while – and of course, I am all set on my green tea! Other than that, oh and my laptop is all prepared, I will be enjoying actually committing to writing every day!